Jack Reilly must be really tired from all the jumping in and out of boats, for again there is no entry in his diary. 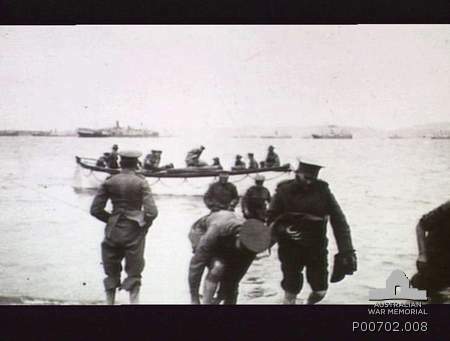 The Battalion War Diary, however, never misses a day, "Disembarked on beach with Brigade and practiced attack." The 1st Battalion History provides us with a little more detail. "We did it again (practiced landing, ed.) on the 16th under better conditions and in better time. All hands had a swim, and thought of the creaming combers of Coogee and Bondi. Stripped, the men were splendid specimens - a credit to their training and men to make Johnny Turk ponder! This experimental landing was carried out as far as possible under conditions which could be expected at the actual landing. 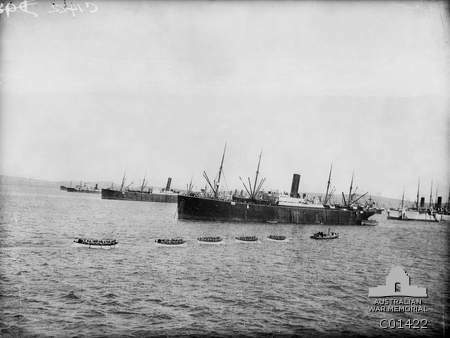 Long strings of boats were towed by naval steam pinnaces, sometimes as many as ten boats, all packed with troops, being in one tow. 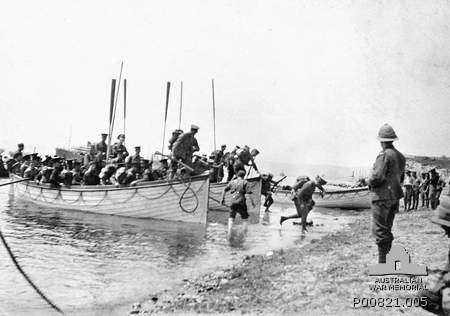 The pinnaces were commanded by midshipmen - we were impressed by their efficiency and by the way in which these youngsters exercised command. 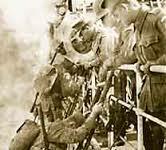 The work of the Navy throughout was one of the outstanding features of the Gallipoli campaign." 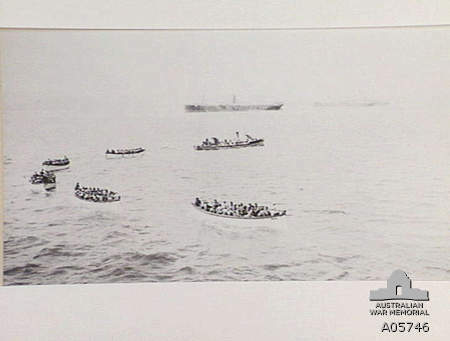 Below are a few photographs, courtesy of the Australian War Memorial, which illustrate the preparations and training.